While getting the Rockies Tacos special on Opening Day was obviously the best story line of the first three games of the season, there was plenty more to look forward to in 2016. Okay, fine … Trevor Story being the first player in Major League history to hit a homer in his first three games is better than cheap tacos. Not only that, but he was also the first player to hit two homers in their MLB debut which came on Opening Day. Thankfully, Story is making the jobs of Jeff Bridich and his team easier in the case of Jose Reyes. At this point, cutting the overpaid shortstop isn’t only the morally right thing to do, but it’s the best move for the team. Reyes played in 47 games with the Rockies in 2015, where he hit just three home runs. Story’s already hit four. Apparently, homegrown shortstop is kind of the Rockies’ thing. And while the bats came alive on the road, with 10 home runs, the pitching performances, especially from the starters, have been even more encouraging. 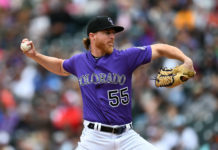 In each game, the Rockies’ starters outperformed the D’backs’ starters, including Zach Grienke and Shelby Miller. That seemed less likely than the UConn Huskies women’s basketball team losing the national championship game. It wouldn’t be too difficult to imagine if Chad Bettis had completed the sixth inning in game two, the Rockies would be undefeated right now. Saying De La Rosa was better than Zach Grienke is like debating that the Real Housewives of Atlanta are better than the Real Housewives of Beverly Hills. Both dominate the television screen but somehow both leave the general baseball audience wanting more. 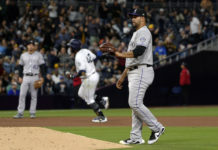 The Rockies did, though, force the D’Backs to throw more than 200 pitches, and Rockies pitching struck out 13. The bullpen held the lead, even after the Diamondbacks made the game close. Now, the biggest question is why did Walt Weiss let Boone Logan face a predominately right-handed batting order, and why did Chad Qualls only face one hitter? Maybe the bullpen doesn’t blow up in game two if the pen was handled differently. Or maybe if Bettis gets through six innings, the Rockies win game two. This game should have been won handedly. Instead, the team’s demons at Chase Field were once again haunting the Rockies dugout. 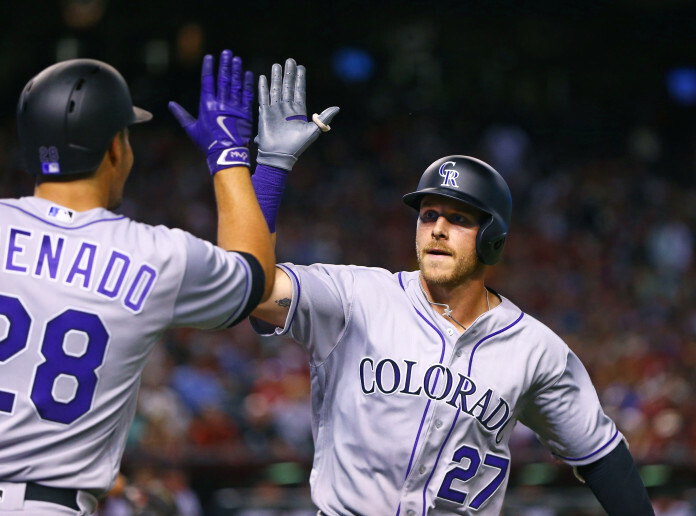 The Rox matched their biggest blown lead of 2015 ,when they lost a four-run lead on July 27 against the Cubs. To his credit, Bettis took full responsibility for the loss. He used his fastball exceptionally well but couldn’t consistently command his curveball. But then again, technically Bettis outperformed Miller. This game is a missed opportunity for a win, especially against a great pitcher. A majority of it stems from using five pitchers in game one, a game that the team won by five and scored 10 runs. Game three cleared any ill feelings after game two. After Story, the return of Tyler Chatwood was the most exciting storyline of the series. Although it’s early in the season, Chatwood’s performance instills confidence that he could be a solid second- or third-option for Weiss on the Rockies’ staff. In the Tommy John rubber match against Patrick Corbin, Chatwood looked like the pitcher the Rockies saw when they acquired him in the Iannetta trade. Chatwood hadn’t pitched in a game since April 29, 2014, coincidently at Chase Field against the D’Backs. If he didn’t have a wide throw to Story, he wouldn’t have given up a run. This is the first series win in Arizona for the Rockies since 2014 and only the thirteenth series win since 1998. What a great way to start the season. It’s encouraging to see the team prove many baseball pundits wrong. It’s annoying, at this point, hearing this team forgets how to play baseball outside of 20th & Blake. If the team can play even remotely like they did in this series on the road, 2016 may not be as miserable as most experts predicted.